Located in the south-eastern coast of Bintan Island, come revel in the realm of sparkling beaches and picturesque shorelines that will help set your mood for the perfect getaway. Home to a spread of scenic floras, crystal white sands and clear turquoise waters, our resorts nestle along the beachfront—with a cosy touch of perennial décor, friendly services and warm hospitality that will ensure the ideal retreat you deserve. Seafood lovers can also replete with delectable savouries in alfresco dining style that sits above the calm, glistening waters—while you indulge in the panoramic view of a breathtaking seascape. And for those who wish to escape the hordes will consider their time well spent here. With our first-ever ocean side spa on the island, imagine retreating into a calm journey that will soothe your body and mind for the many adventures to come. Appealingly casual and laidback, we have an atmosphere that makes for the perfect vacation. 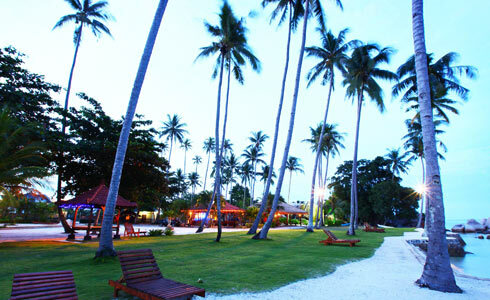 Only at Bintan Agro Beach Resort, experience the perfect holiday destination that will leave you wanting for more.